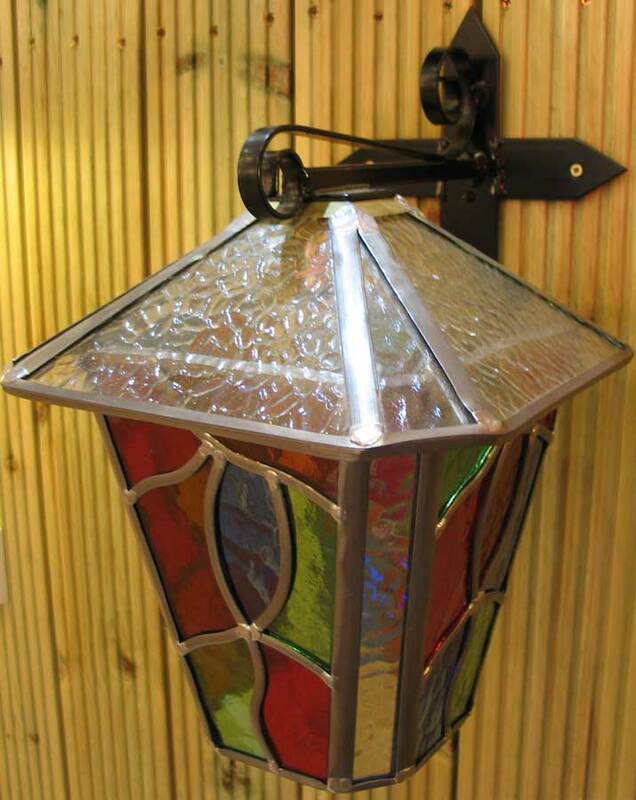 This Chepstow large multi coloured leaded glass outdoor wall lantern is rated IP43 and features a handmade tapered lantern, created using red, blue, amber and green rippled glass that will cast the most wonderful hue of transfixing light by night. With a beautifully crafted traditional cross bar wall mount that needs to be secured to a substantial structure using four suitable heavy gauge screws. Simply stunning! Handmade to order, please allow two-weeks for your lantern to be crafted and delivered. 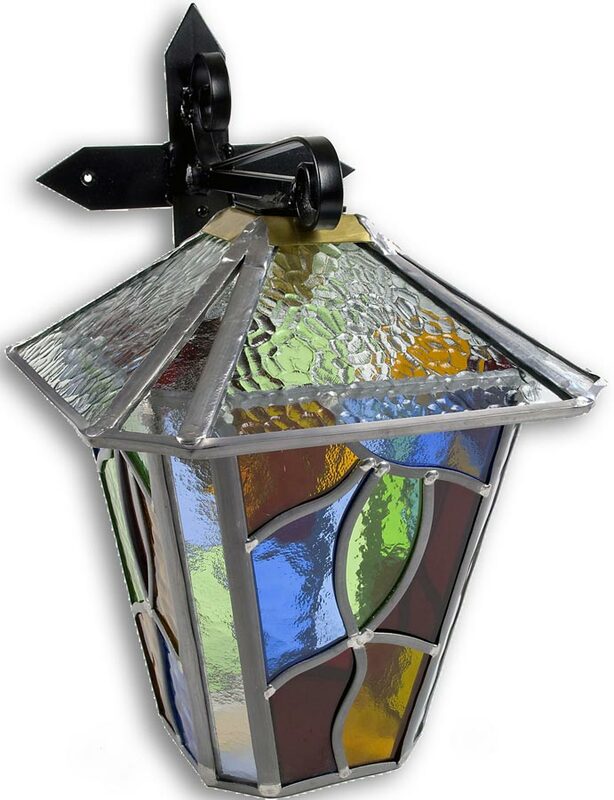 Hand crafted in Yorkshire and featuring traditional soldering techniques, this Chepstow large multi coloured leaded glass outdoor wall lantern embodies over seventy-years of skilled local craftsmanship.